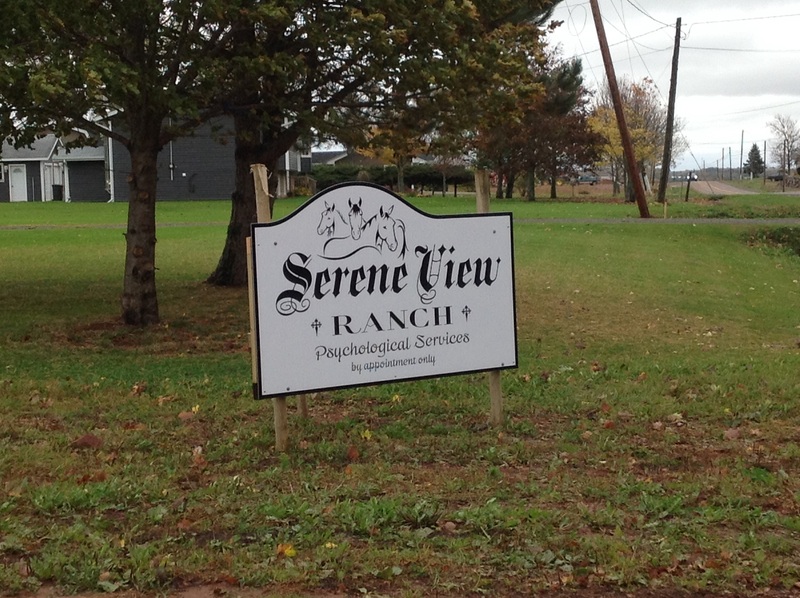 It is hard to believe, but already one week has gone by since Serene View Ranch has opened its doors. Okay, maybe there have been a few glitches, like no provincial sign for Pickles Lane, but we do have our ranch sign on temporary posts. Oh, and did we mention the large holes around the house that are meant for the second floor patio? A few have been lost trying to find the place, many entertained by the miniature horses welcoming them to the arena, and we are very happy to be able to welcome our clients to our new facility. Have patience with us as we get settled into our new facility. Stay tuned for new developments and programming updates. This entry was posted in Ranch Construction. Bookmark the permalink.